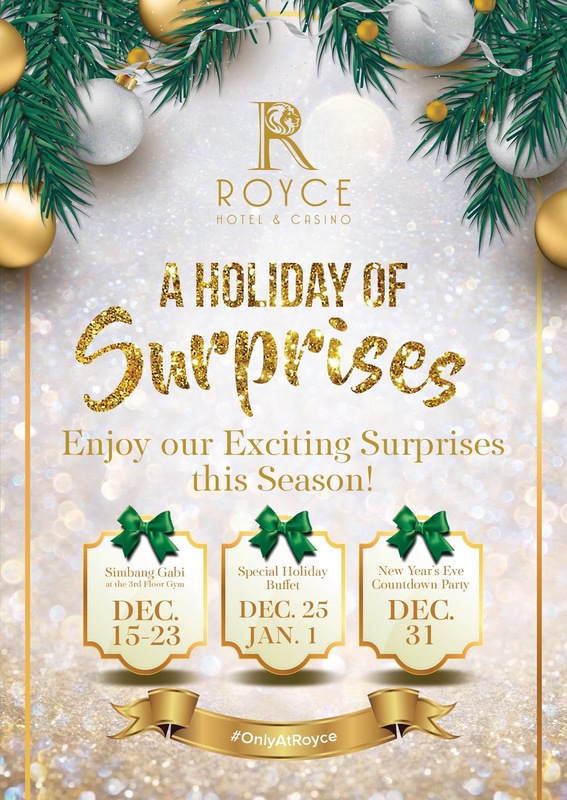 The 24-Hour Mommy: Experience the Christmas Cheer Only at Royce! #1 Great feasts never stop. 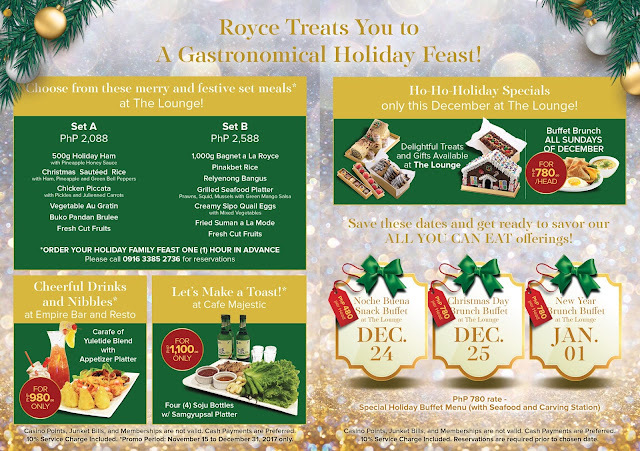 Royce is home to culinary hubs with cuisines that are sure to excite your taste buds – all of them offering special holiday fare. The delicious food and refreshments start at the Empire Bar and Lounge, with its Appetizer Platter and a carafe of its Yuletide Blend drink at just PHP 980.00. 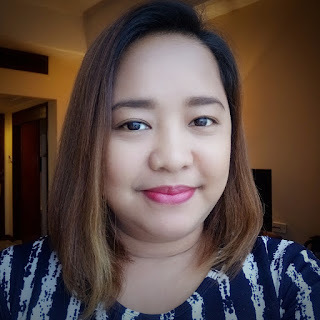 Those looking for Korean delicacies to share with friends can head to Café Majestic with their Samgyupsal Platter and four (4) bottles of Soju for just PHP 1,100.00. Traditional yuletide offerings are available at The Lounge. Your loved ones can share set meals that start at PHP 2,088.00. They can even enjoy brunch buffets every Sunday and special buffets for Christmas Eve, Christmas Day, and the New Year. The Lounge is also the best place at Royce to get delicious yuletide desserts. 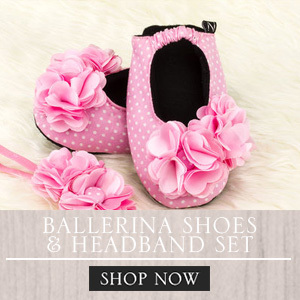 #2 You can enjoy simple elegance with their great deals! Your holiday stays are sure to be merry with Royce’s great deals on your room or suite rates. Every successful booking also includes complimentary breakfasts, sweet holiday treats such as Peppermint Lattes, Christmas Pastries, and even in-room Body Treatments for two (2) guests. 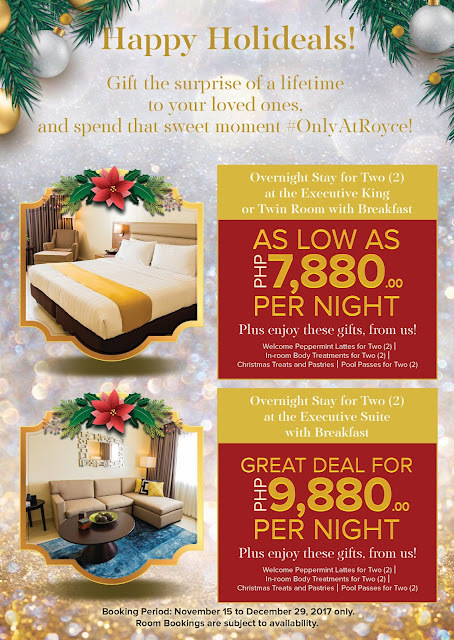 Overnight stays for two (2) for the Executive King or Twin Room starts at just PHP 7,880.00 per night while stays at the Executive Suite begins at PHP 9,880.00 per night. #3 Holidays at Royce are wonderful winning experiences. Royce rewards members who play at the gaming area earn points that they can use to get raffle tickets for Double Treat 2017. 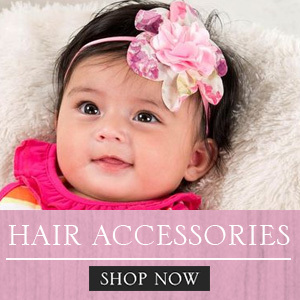 Its Grand Draw is on the 30th of December, right before the New Year festivities. 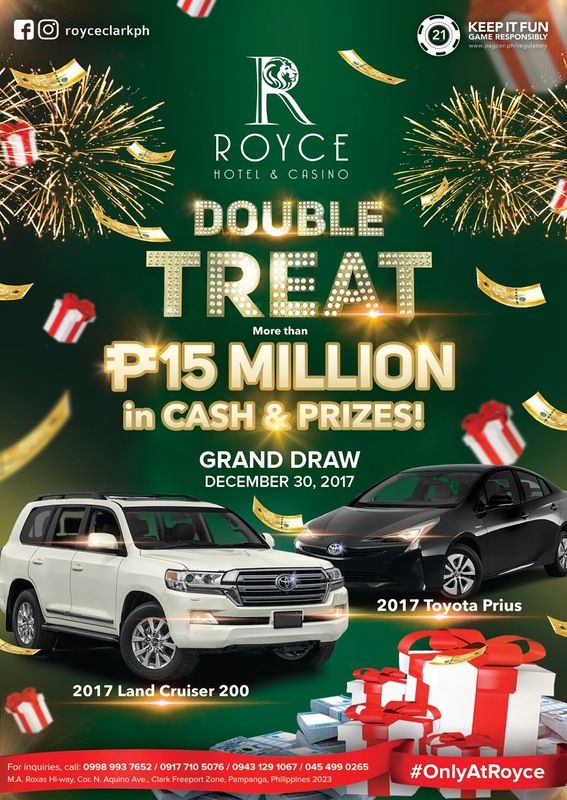 Lucky members who join the raffle can win up to PHP 15 Million Pesos in Cash and Prizes or new cars such as the 2017 Toyota Prius or 2017 Land Cruiser 200. 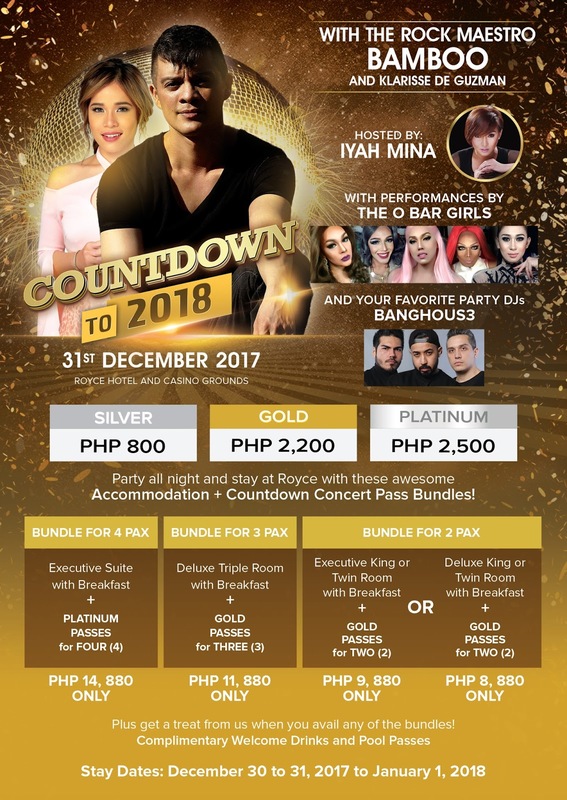 Those who want to groove to great performances can join Royce in their Countdown to 2018 party featuring guests such as Bamboo, The O Bar Girls, and the DJs Banghous3.